Almost every grown up knows what it is to have sensitive teeth. There are several reasons for it, such as eating food or beverages that corrode the enamel layer of their teeth, exposing the nerves. Then there is improper care of teeth which can lead to dental germs causing cavities.But what is the best toothpaste for sensitive teeth to help you take care of your teeth? how do you choose the many oral care products out there? Some people are, of course, unfortunate to meet with an accident or be saddled with teeth that are hard to clean perfectly. 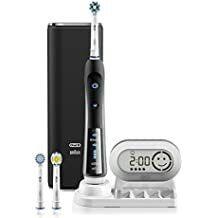 Others may not be sure which toothbrush or paste is the right one for teeth, and hence end up causing abrasions on the teeth which eventually exposes the nerve.Check an earlier post on choosing electric toothbrush here if you missed it. The tingling pain, when eating or drinking something cold or some sweet, is a warning to do something about it. Luckily, there are tubes of toothpaste available now for addressing the pain due to sensitive teeth. For identifying what is the best toothpaste for sensitive teeth, you should know what such toothpaste has to offer. Here is a list of one or more qualities that may be present in toothpaste designed for providing relief to sensitive teeth. Gentle formulations that take longer to offer relief from such sensitivity but do not cause any adverse reactions as well. Most of the toothpaste contain SLS or sodium lauryl sulfate which is used as a foaming agent. It irritates gums. Likewise, there are teeth whitening agents that can cause abrasion on teeth, which can eventually wear off enamel and expose the nerves. Formulations that focus on fighting tooth decay with some ingredient. As of now, the tubes of toothpaste that are suggested for addressing the sensitivity of teeth are Sensodyne’s Pronamel, Extra White, Squigle, Tom’s Clean & Gentle, and Colgate Sensitive Pro-relief. Sensodyne’s Pronamel offers quick relief from sensitivity because of potassium nitrate in it. This compound deadens the nerve endings in the tooth. In addition, the toothpaste has fluoride which fortifies the enamel in the tooth. One of the Extra White Toothpaste is specifically designed for building enamel with fluoride. This brand reduces the sensitivity of teeth with the same compound as Sensodyne, i.e., potassium nitrate. 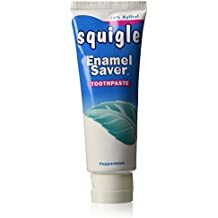 Squigle toothpaste does not cause much abrasion on teeth, thus protecting the enamel. In fact, there is specific enamel saving Squigle toothpaste which indirectly prevents sensitivity in teeth. Squigle toothpaste does not contain any sodium lauryl sulfate in them, which makes them gum friendly. The tooth building Squigle toothpaste contains sweetener xylitol, which is known to prevent decay or control it. It is this compound in Tom’s Clean & Gentle that addresses the pain or sensitivity. Colgate’s sensitive pro-relief also focuses on repairing the teeth. But it is the pro-argin which offers instant relief from pain due to the sensitivity of teeth. This pro-argin Colgate pro-relief toothpaste is able to offer relief almost instantly because of calcium and arginine. So far, this method is considered to be the best around for repairing the teeth. It is, therefore, obvious that for tooth repair, Colgate’s sensitive pro-relief, Pro-argin is the best. But for quick relief from teeth sensitivity, it is Sensodyne Proenamel that scores. In any event, if you are experiencing tooth sensitivity, you need to first identify the cause and opt for the best toothpaste for sensitive teeth that would be most effective in reducing tooth sensitivity. At times the ingredients are similar like in Colgate Sensitive Pro-Relief Pro Argin and “Elmex Sensitive Professional Toothpaste”. That is when the brand’s trustworthiness and price sway the decision. I hope this post could help you find the best toothpaste or will help you make an informed decision when you are looking make a purchase.These are not only for sensitive teeth and gums but great at keeping your breath fresh. There are reviews of such kinds of toothpaste as well which can be accessed by typing what is the best toothpaste for sensitive teeth in the search bar or you can read user reviews here.